Arrival in Oslo according to your own itinerary. 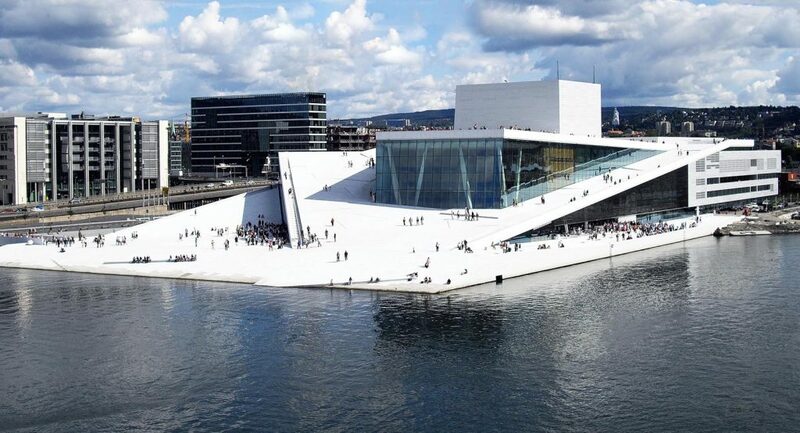 The Norwegian capital is beautifully situated at the head of the Oslo Fjord and surrounded by forested ridges. It offers a large variety of attractions, shopping possibilities, a rich cultural life, and a wide choice of restaurants. 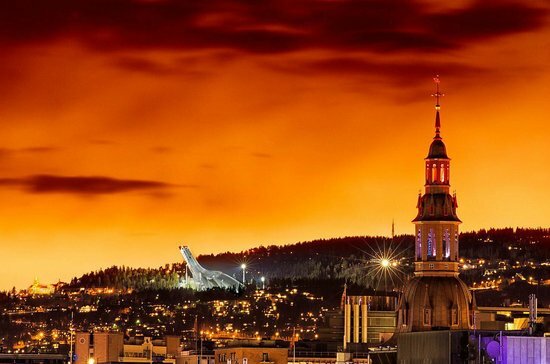 Although Oslo has about 500.000 inhabitants the city is quite compact with most attractions located within close distance. 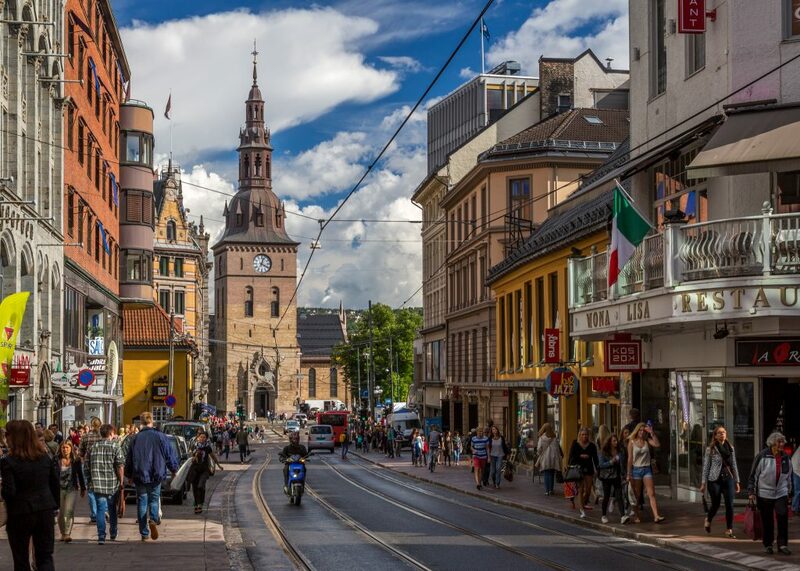 Oslo is an increasingly cosmopolitan city with a significant proportion of the population originating from other parts of Norway and all parts of the world. Accommodation in Oslo. Breakfast at the hotel. Morning departure from Oslo by train. The 5-hour train journey from Oslo to Myrdal is part of the Bergen Railway, classed as one of the finest train journeys in the world. The train journey will bring you across Hardangervidda Mountain Plateau, with Finse as the highest train station at 1222 metres above sea level. 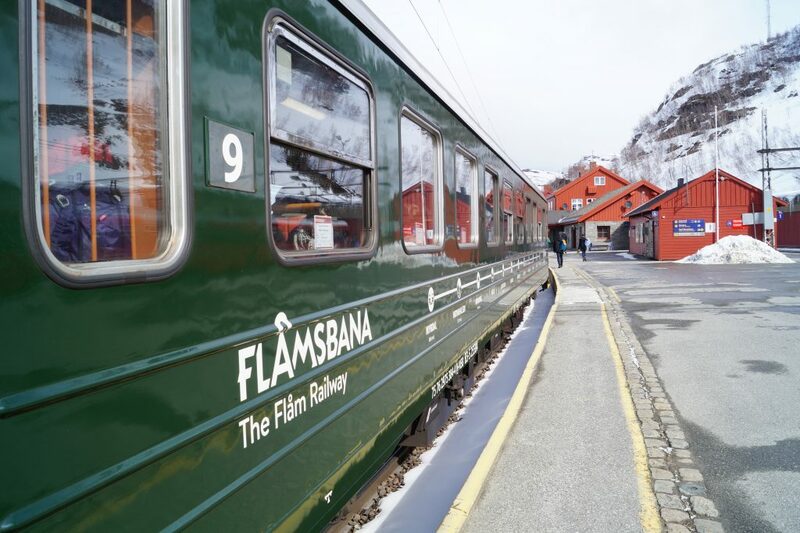 In Myrdal you will change to the Flåm Railway, connecting the Bergen Line to the Sognefjord. You will pass through wild and beautiful mountain scenery with waterfalls and steep mountain sides before reaching the fjord village of Flåm. Here you will have one hour at leisure, before embarking on a cruise on the Sognefjord, the world’s longest and deepest fjord, to Balestrand. However, by adding an overnight in Flåm, you will have the possibility to join a tour to see the Nærøyfjord. 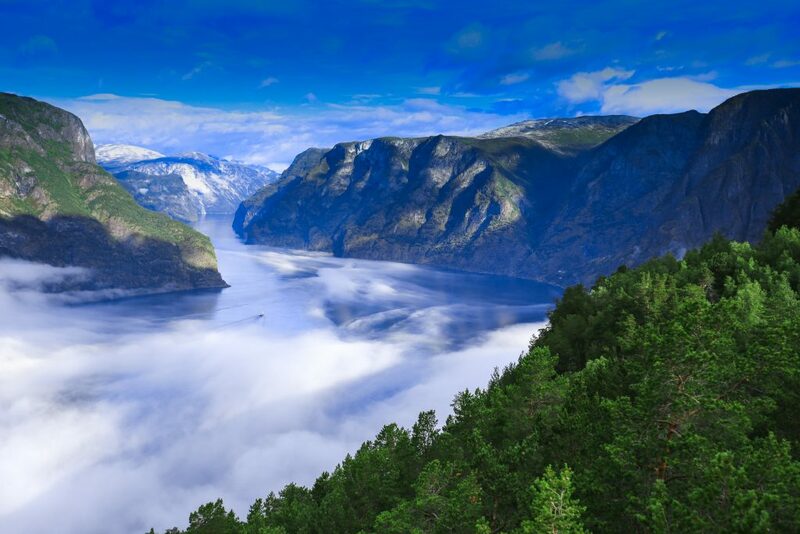 The Nærøyfjord is the narrowest fjord channel in Europe, and has been added to UNESCO’s list of world heritage sites. Accommodation in Balestrand (room with fjord view). Breakfast at the hotel. 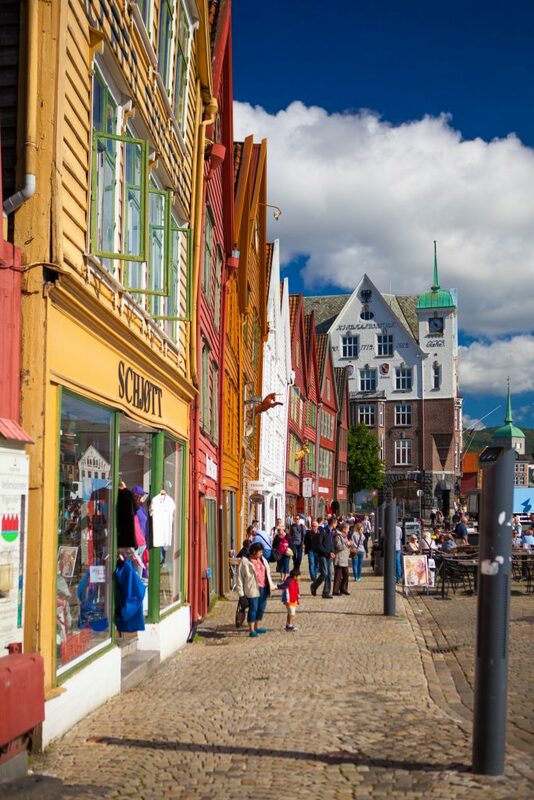 Continue by boat on the Sognefjord and then along the western coastline in southern direction to Bergen – the Gateway to the Fjords. 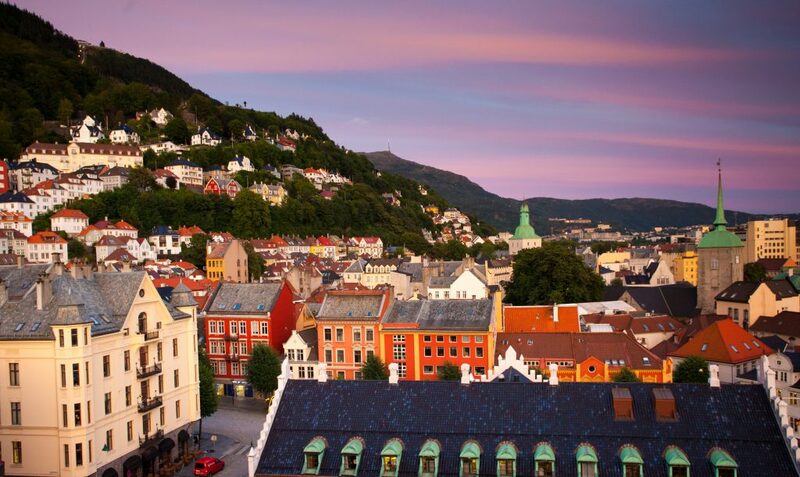 Bergen is Norway’s second largest city and the world’s only city surrounded by 7 mountains and 7 fjords. 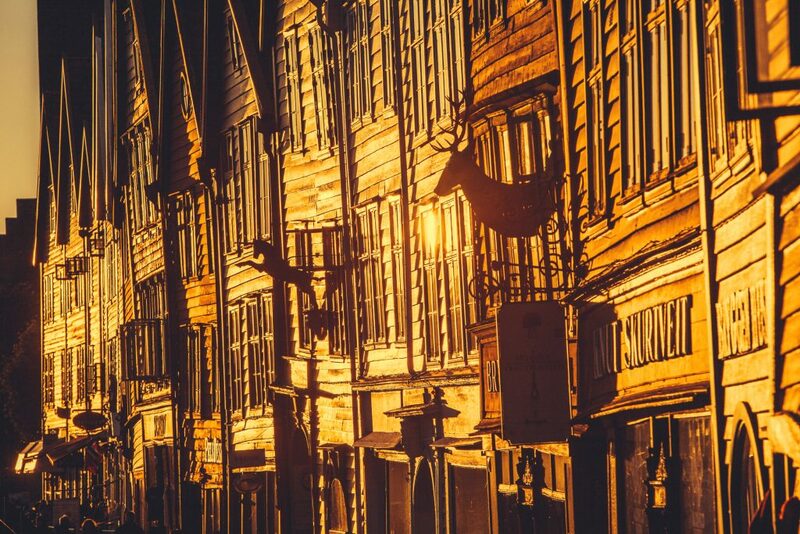 Accommodation in Bergen.